Carrom is a family of board game sharing a similarity in that their mechanics lie somewhere between billiard table and shuffle game. The aim of this board game is to pot one’s own nine carrom men before one’s opponent pots his/hers. However, before sinking one’s final carrom man, the queen must be pocketed and then “covered” by pocketing one of one’s own carrom men on the same or subsequent strike. In Carrom board shooting player (or “carromer”) is not allowed to shoot the striker behind the line, except when hitting a back shot. However, directly striking any coin that is touching the player’s base line is not allowed, even for a back shot. 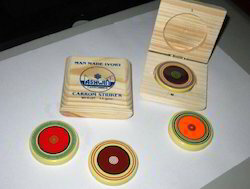 The player in carrom board is allowed to shoot with any finger, including the thumb (known as “thumbing” or a “thumb shot”). 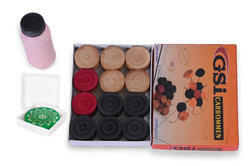 Carrom is popular across the country in India and also known as carrom board game. In India competitions and tournaments for this board games are organized at schools, colleges, townships, communities etc. 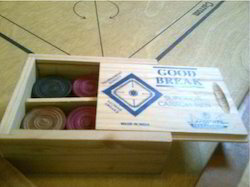 This is also a very popular board game with families and a favorite pass time for many a family. 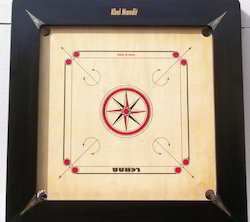 We have an experience of manufacturing Indian Carrom Board past 23 years.Our range comprises Carrom Board (Natural), Natural Carrom Board, Full Carrom Board and Medium Carrom Board. 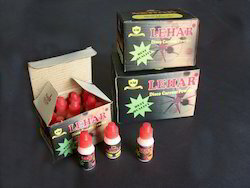 We are Manufacturers and Suppliers & We are dealing in the bulk quantity. 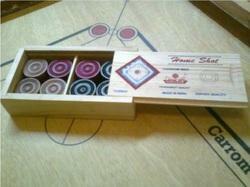 We are counted among the leading manufacturers, suppliers and exporters of finest quality Full Carrom Board. All our products are manufactured under the close supervision of experienced and qualified professionals. Post-production, our products are stringently inspected by quality controllers on certain parameters of quality in order to rule out every possibility of defect. Border Size 1.5″ x 1.25"
Packaging Details: Sea worthy packaging. Can be customized as per client requirements. 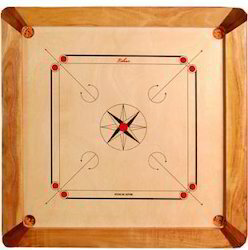 We manufacture, supply and export superior-quality Medium Carrom Board. All our offered products are manufactured employing latest machines & equipment following standards & norms of the industry. Moreover, to cater to to-the diverse requirements of customers; we offer our reasonably-priced range in variegated specifications. 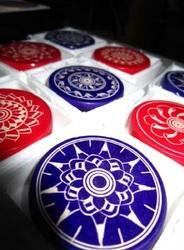 We are reckoned as a major firm influential in exporting and supplying superior quality Natural Carrom Board Delight. Our offered boards are known for sturdiness and moisture-proof finishing owing to their fabrication being done as per latest industrial norms at vendors end. These carrom boards are popular in the market for natural grain finishing and is available with us in varied specifications. 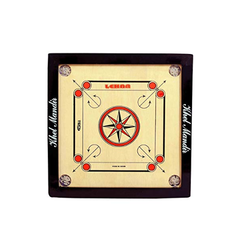 We have a range of carrom board in Jumbo category of Carrom Board. This range has carrom boards with playing surface of 29" X29", made of seasoned wood and available in matte finish. 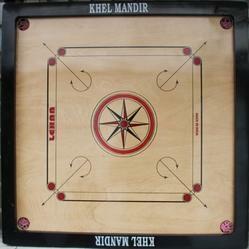 We are counted among the leading manufacturers, suppliers and exporters of finest quality Full Carrom Board. Wood Type Excellent quality wood. 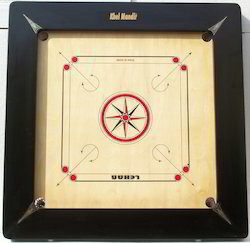 We have a range of carrom board in Bull Dog category of Carrom Board. This range has carrom boards with playing surface of 29" X29", made of seasoned wood and available in matte and polish finish. 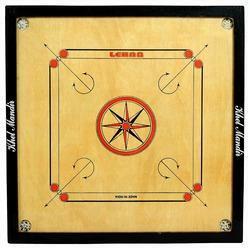 We are counted among the leading manufacturers, suppliers and exporters of finest quality Full Carrom Board. Border Size 4x2 and 3x2 inches. Playing Surface : 29” x 29”, Made of seasoned hard wood, Corner loops & mid of border made of sheesham wood, Available in Matte finish. Plywood Thickness 4mm and 8mm. Color Black with smooth surface. Model Collapsible and Non- Collapsible. 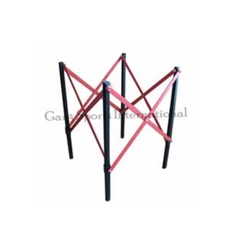 GSI manufactures three different variety of carrom stand that includes X, Compact and Movable. 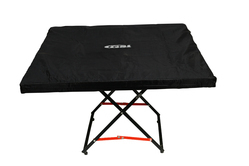 These are collapsible and non-collapsible models of carrom stand. They are made of durable metal quality. Made up of high-grade metal. Garg Sports International (GSI) supplies two sorts of Carrom Striker - 3MD, 4MD, 5MD one for the professionals and the other for starters. The ball striker available at GSI is one of the best strikers in the market and they are used in tournaments as well. It is quality centered and ethically designed to stand out from others for its quality and have a great bounce back resulting in an excellent play. GSI is a sports equipment store where you will find all types of sporting goods. Garg Sports International (GSI) supplies two sorts of carom strikers one for the professionals and the other for starters. The ball striker available at GSI is one of the best strikers in the market and they are used in tournaments as well. It is quality centered and ethically designed to stand out from others for its quality and have a great bounce back resulting in an excellent play. GSI is a sports equipment storewhere you will find all types of sporting goods. Garg Sports International (GSI) supplies two sorts of carom strikers one for the professionals and the other for starters. The ball striker available at GSI is one of the best strikers in the market and they are used in tournaments as well. It is quality centered and ethically designed to stand out from others for its quality and have a great bounce back resulting in an excellent play. GSI is a sports equipment store where you will find all types of sporting goods. Design Compact and movable . 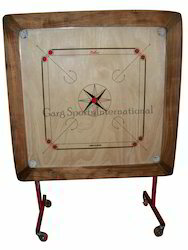 GSI manufactures different style of carrom board stand. 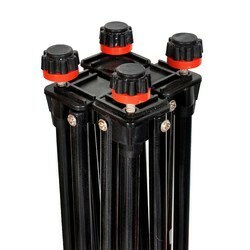 These carrom stands have different specifications from collapsible to noncollapsible and movable or fixed. 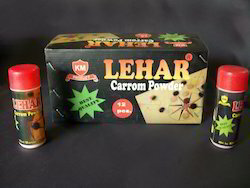 Carrom powder eliminates friction and slides carrom men easily on the board. Material Premium and high grade metal. Design Easy to assemble, compact. GSI manufacturers various quality of carrom stand . 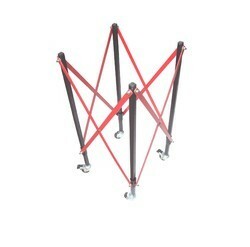 These carrom stand are of different style collapsible and non collapsible. These are made of high grade metal. 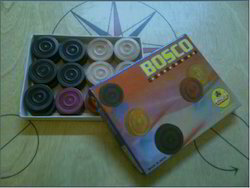 We are highly acclaimed enterprise involved in exporting and supplying best in class Carrom Men Bosco. These carrom coins are known for durability and uniform dimension traits as these are designed in accordance with latest industrial norms. We procure these coins from renowned vendors in various stipulations who manufactures them with the use of high-grade material and new-age technology. With these aspects, our offered coins are much popular for use in tournaments. Excellent finishing for export purpose. 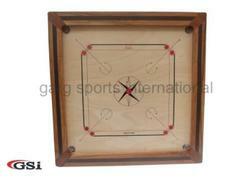 GSI has a range of 13 different carrom men manufacture with different seasoned woods. All these varieties have one of its kind exclusive features. Design Precisely designed & High durability. Packaging Comes in wooden box. Packing Comes in a wooden box. Garg Sports International (GSI) supplies two sorts of carrom strikers one for the professionals and the other for starters. The ball striker available at GSI is one of the best strikers in the market and they are used in tournaments as well. It is quality centered and ethically designed to stand out from others for its quality and have a great bounce back resulting in an excellent play. GSI is a sports equipment store where you will find all types of sporting goods. 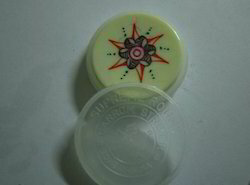 GSI Carrom powder eliminates friction and slides carrom men easily on the board. 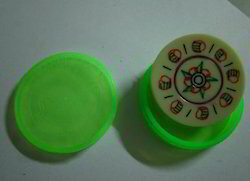 Carrom coins are unavoidable part of carrom board game. 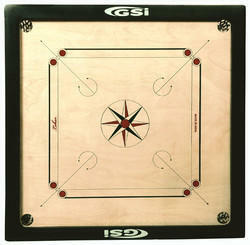 GSI ensures that it manufactures quality carrom men so that it is ideal for playing and makes games more smoother. Finish Excellent finishing for export purpose and ace quality. Packing Comes in a plastic case. Material Premium quality seasoned wood. Packing Comes in wooden box. Packaging Comes in plastic case. 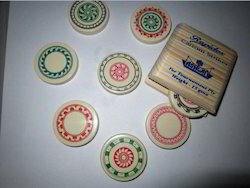 Carrom coins are an unavoidable part of carrom board game. 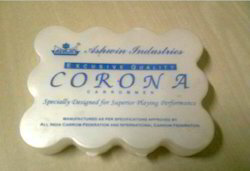 GSI ensures that it manufactures quality carrom men so that it is ideal for playing and makes games more smoother. Design Ethically designed to stand out. Box Comes in plastic box. Finish Superior finishing & High sturdiness. 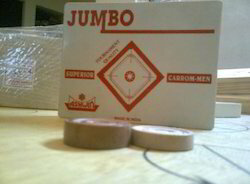 We have attained wide acceptance in the market for providing a qualitative assortment of Carrom Supreme Round Striker. These strikers are highly durable and superior in finishing owing to their fabrication being done as per the latest industrial norms. The procurement of these strikers is done by well-known vendors under various specifications for serving the diverse needs of customers. GSI Carrom Board Cover keep board safe from dust, moisture and damage. Keep your board protected when it is not in use. It comes in different sizes and can be customised also.GSI manufactures two different quality of Carrom cover - basic and supreme. In order to comprehend and fulfill the diverse requirements of esteemed clients, we are able to offer Carrom Matte Style. These products are designed inhouse and provide a superior finish, scratch resistant and water resistant surface, and a smooth overall performance from the carrom board.